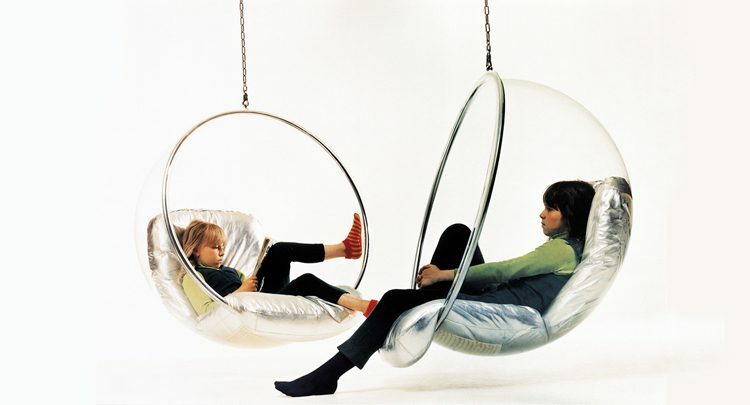 The iconic hanging bubble chair was originally designed by Finnish interior designer, Eero Aarnio. The story behind it is unique and highlights how a futuristic look can become timeless. 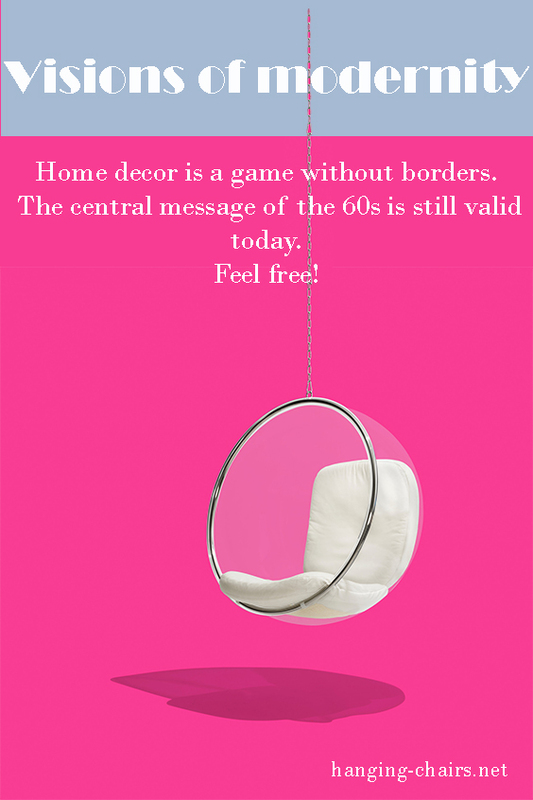 The hanging bubble chair always adds a touch of tomorrow to any decor. Even though it was first designed in 1968 and celebrates its 50th anniversary in 2018, it never looks aged and despite being created over 40 years ago it’s a futuristic vision of style and grace. It is as if it serves as a permanent testament to a degree of design perfection that could only reside in the future. 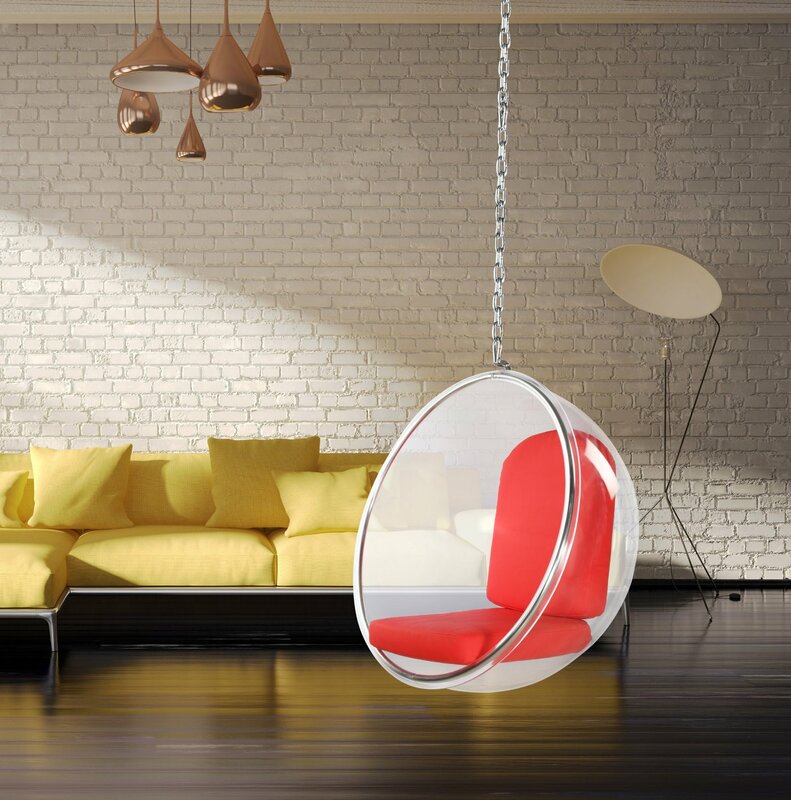 The hanging bubble chair owes a great deal of its inspiration and properties to another Aarnio creation, the famous ball chair. 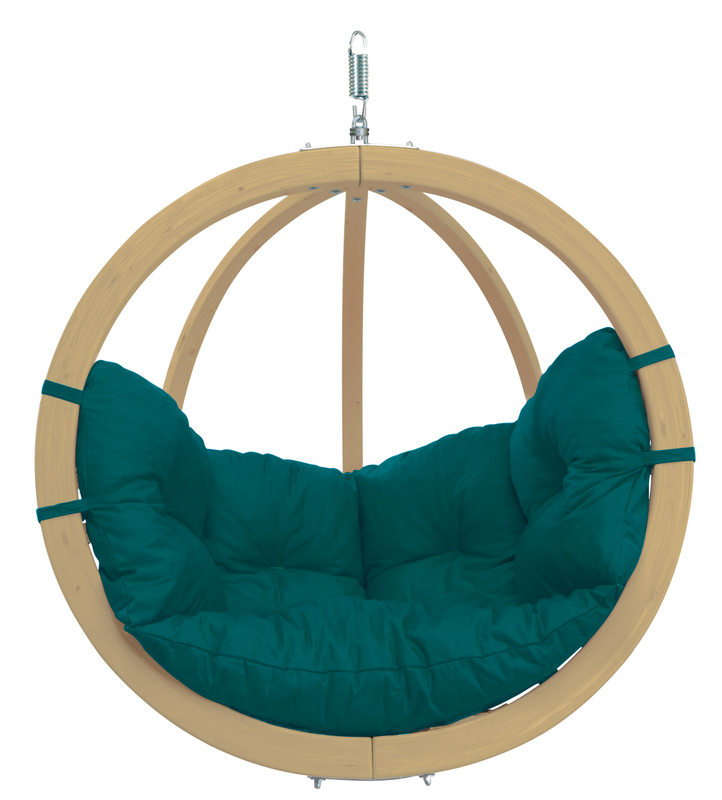 This predecessor to the bubble chair was not a hanging design, it rested on a foot base. The design of the seating area, however, did use a pod design. The pod concept itself was not what made it unique, that had already been seen in other Scandinavian chair designs, such as in Nanna Ditzel’s hanging egg chairs from nearly ten years earlier. What did make the pod seating area of the ball chair unique was that it was intended from the beginning to create a personal space in terms of lighting and acoustics. This concept was carried over to the hanging bubble chair. 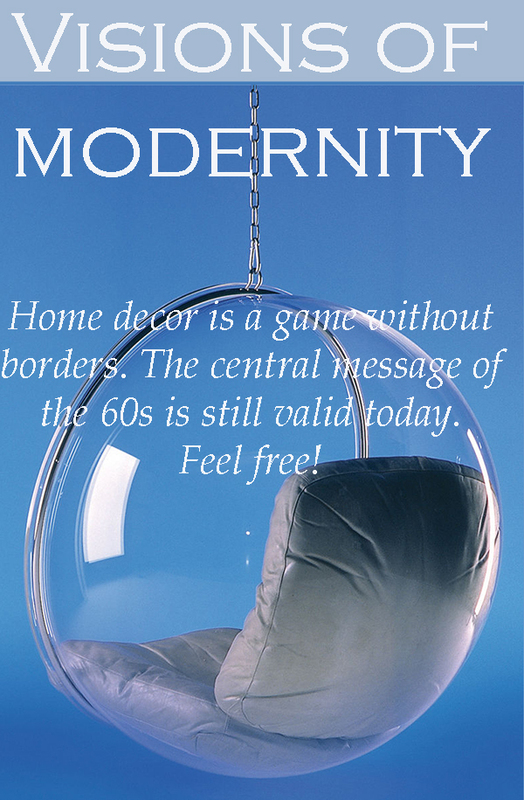 Read more about History of Bubble Chair. Aarnio wanted a piece that allowed for natural light to flow through his creation. For this, he looked to industry for the answer. Using a process similar to that used by manufacturers of skylights, a translucent acrylic was literally blown into a large shape, surpassing the boundaries of a hemispherical dome usually used in skylights. 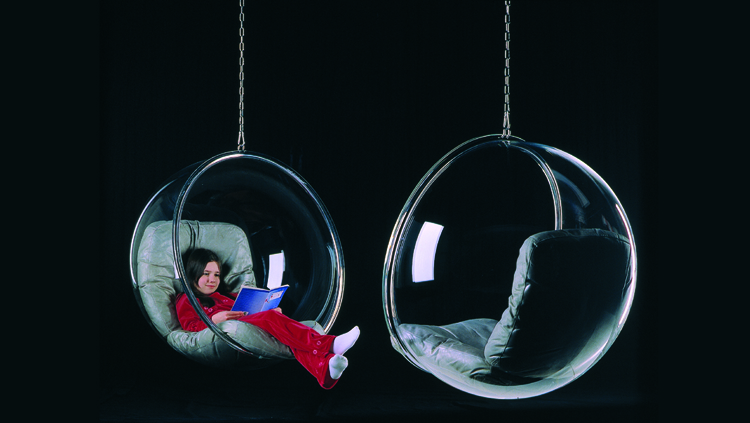 Yes, the hanging bubble chair starts as a real bubble. The properties of the acrylic create a bubble shaped pod that allows light to penetrate it from all directions. The idea of making it a hanging model only came when there was no way to create an acrylic stand that would share the same light distribution properties. The base could be translucent, but the light would be refracted unevenly. Hence, Aarnio elected to go with the hanging chain option. Part inspiration, part manufacturing practicality, part art, it is no wonder that the hanging bubble chair achieved a sense of style all unto itself. The translucent proprieties of the bubble chair allow for its use in even the smallest of spaces. It does not obscure any portion of the room in which it is placed. It allows the colors of the room’s decorative scheme to resonate. It makes its presence felt without dominating what’s around it. A superb example of minimalist style. All of its detail is in its simplicity. 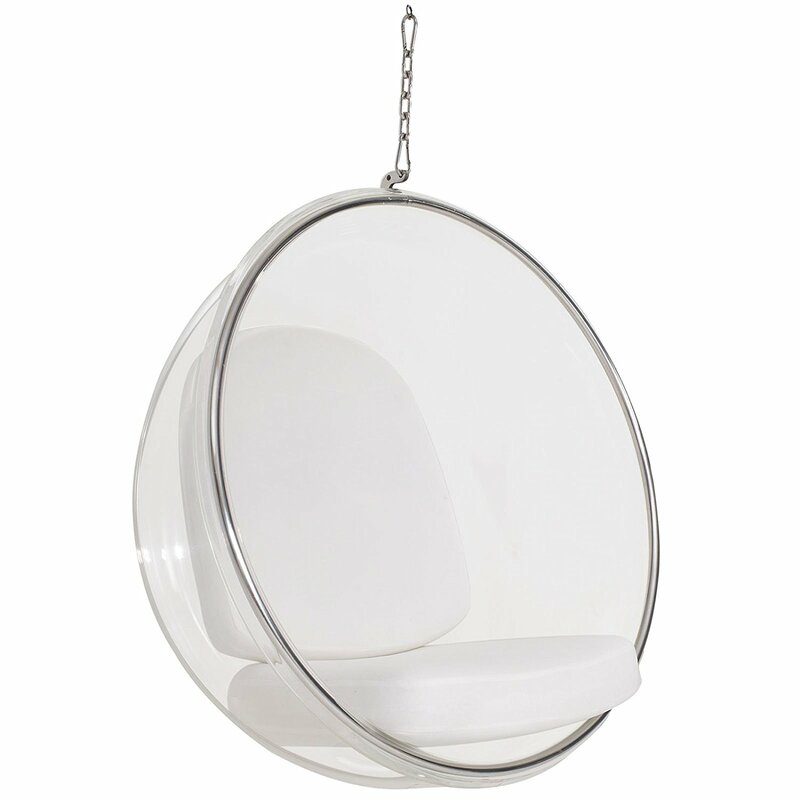 Owners of hanging bubble chairs are also aware of the incredible experience that one has when sitting in one. 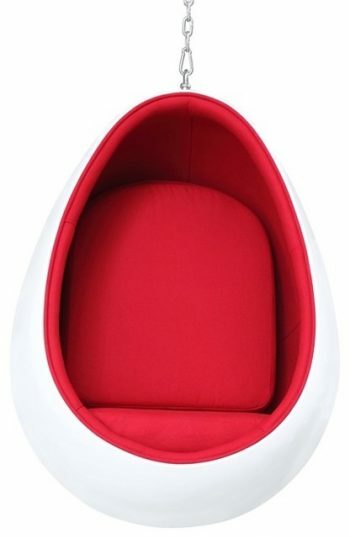 Not only does its one-piece pod design create a sitting position that is cozy and natural, but it also creates a visual and auditory experience that is unique to that type of chair. Imagine yourself seated in comfort, with whatever lighting scheme that you are using or natural light streaming unobstructed through your chair. That creates a sensation of oneness with your surrounding. You are seated, but not constrained. It is as close to the sensation of floating on air that one can experience while under the hold of gravity. Combine that with the acoustics within the seating pod and it makes sitting in a hanging bubble chair a transformative experience. The acoustic proprieties of the hanging bubble chair are such that even when the ambient noise in the room is loud, the person seated in the chair enjoys relative silence. 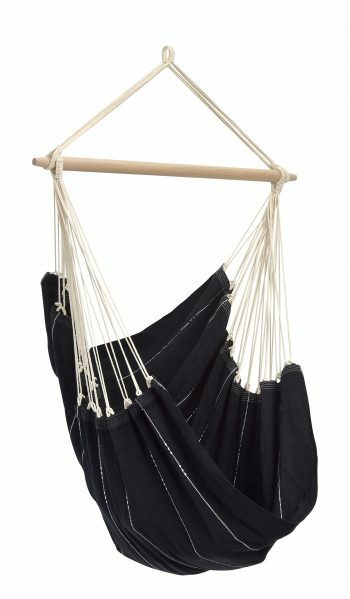 It makes this indoor hanging chair well suited for reading, thinking or even napping. The acoustics are so impressive that Telenor, the Norwegian telecommunication company, has several hanging bubble cars installed in the main lobby to be used as “calm rooms” for escaping the noise or making cell phone calls. Eero Aarnio achieved with his design of the hanging bubble chair a unique piece of furniture that takes minimalist design to the heights of simple elegance. Futuristic, yet at home with any contemporary decor, the bubble chair transcends trends. It will fit in with any decor today and tomorrow just as it did yesterday. Stylish, but practical, it is an effective way to create a room within a room in terms of peacefulness and freedom from ambient noise. It is a piece of furniture that merits appreciation on so many levels. A replica is in the first picture above and the originals are in the second one. You can see a difference with the naked eye. The same applies to the price. 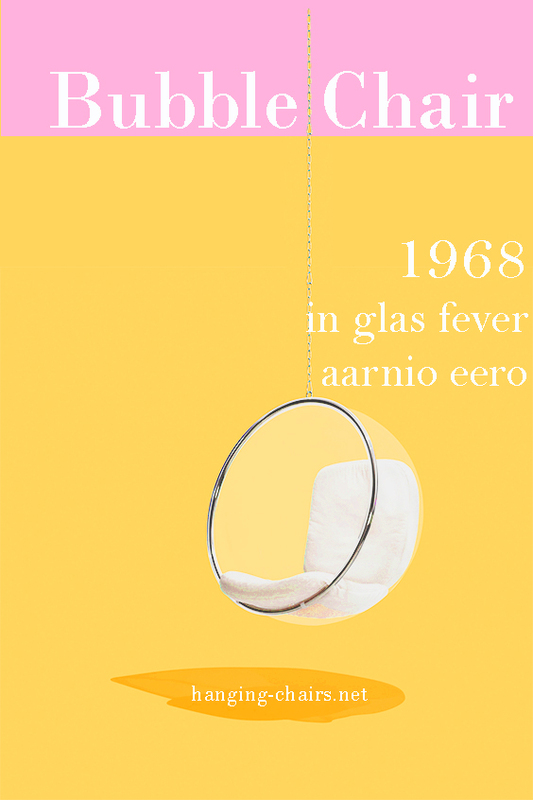 Original bubble chair is imported from Finnland but it is made in Germany by Adelta, which is the only authorized manufacturer of Eero Aarnio fiberglass collection. Plush Pod is the official dealer in the USA. The bubble chair may be available online if they have some in stock, otherwise, the availability is 12 to 14 weeks.